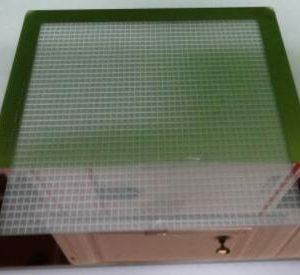 Two-inch free-standing GaN wafers were implanted by 100 keV H+2 ions with a dose of 1.3 × 1017 cm−2 at room temperature. The hydrogen implantation induced damage in GaN extends between 230 to 500 nm from the surface as measured by cross-sectional transmission electron microscopy (XTEM). 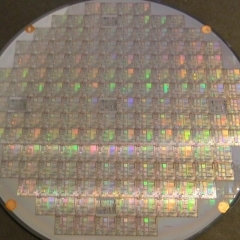 The wafer bow of the free-standing GaN wafers was measured using a Tencor long range profilometer on a scan length of 48 mm before and after the hydrogen implantation. 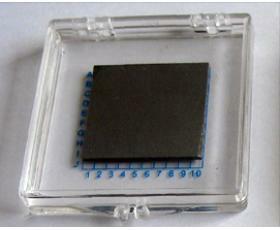 Before implantation the bow of two different free-standing GaN wafers (named A and B) with different thicknesses was 1.5 µm and 6 µm, respectively. 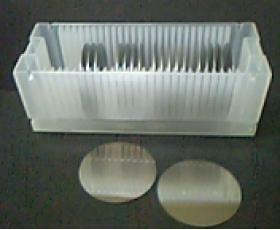 Initially, both wafers were concave in shape. After implantation the bow changed to convex with a value of 36 µm for wafer A and a value of 32 µm for wafer B. High dose hydrogen implantation leads to an in-plane compressive stress in the top damaged layer of the GaN, which is responsible for the enhancement of wafer bow and change of bow direction. 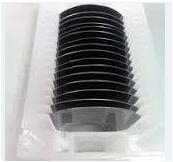 The high value of bow after implantation hinders the direct wafer bonding of the free-standing GaN wafers to sapphire or any other handle wafers. 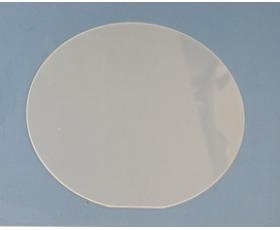 Tight bonding between hydrogen implanted GaN wafers and the handle wafers is a necessary requirement for the successful layer transfer of thin GaN layers onto other substrates based on wafer bonding and layer splitting (Smart-cut). 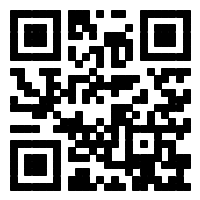 PAM-XIAMEN produce now include a-plane and m-plane single crystal GaN substrate as well as SiC crystal of various polytypes.